The Following Tasting, with special guests, Is confirmed and scheduled so save the date and meet some great producers. “Col d’Orcia is one of Montalcino’s most historic wineries. 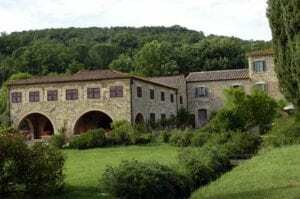 The estate’s modern-day lineage goes back to at least 1890, when records show the Franceschi family of Florence purchased the property, then known as Fattoria di Sant’Angelo in Colle. As early as 1933 Fattoria di Sant’Angelo in Colle presented its Brunelli at the Wine Exhibition of Siena, one of the first trade shows in Italy, decades before Brunello would become a prized, world-class wine. Brothers Leopoldo and Stefano Franceschi inherited the property and subsequently divided their holdings in 1958.Stefano Franceschi named his farm Col d’Orcia (hill above Orcia) after the river that runs through the property. Stefano Franceschi later married into the royal family of the future King of Spain Juan Carlos. He and his wife had no children, and in 1973 Stefano Franceschi sold his property to the Cinzano family of Piedmont. The Cinzano family was active in the spirits business, and used their extensive sales network to distribute the early vintages of Col d’Orcia. Deep ruby red, soft tannins , persistent and fruity, aged 12 months in Slovanian oak cask. Intense flavor and aroma. Aged 18 months in medium toasted French oak barrels (95%) and American oak barrels (5%). Ageing was completed for 8 months in bottle before being released.